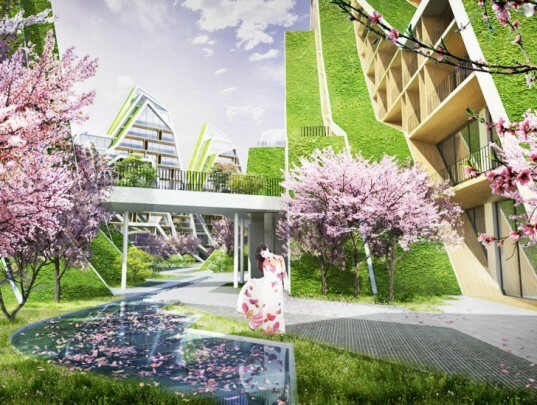 BIG’s Hualien Wellness & Residential development in Taiwan is an eco-friendly home for the elderly that is designed to encourage a health-conscious and productive community of seniors. 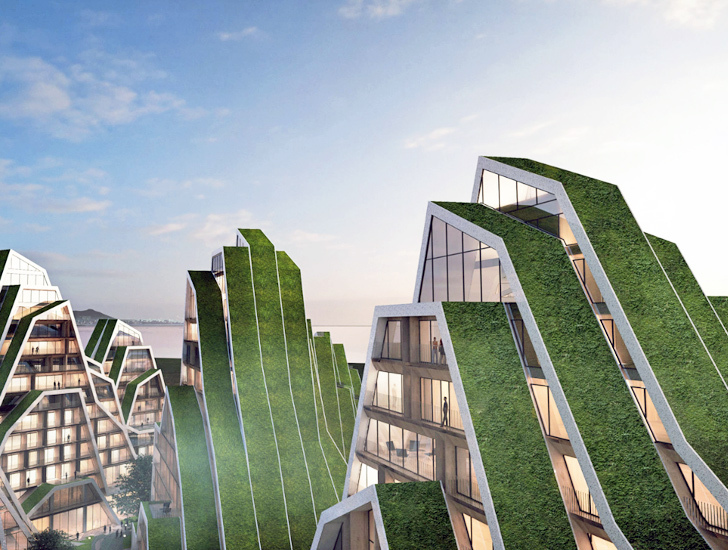 Its mountainous green roofs undulate and meander through the complex, bringing nature closer to the living spaces and helping to create a stress-free environment. BIG's project was recently honored as a winner in the 2014 Architizer A+Awards. The entire neighborhood encourages interaction. Public paths can be used as meeting places and points of social contact. And an array of amenities such as media rooms, lounges, libraries, pools, common gardens and meditation spaces support the design concept to establish a low-stress environment. development is located on the eastern coast of Taiwan, which has recently seen a dramatic outflux of young people going to larger urban centers in search for better jobs. The area has since seen a growing demand for housing capacities and recreation facilities for seniors and retirees. The architects at BIG decided to introduce speed walking public paths to the complex, which meander through it and infuse are outdoor spaces with liveliness and activity. In addition to the recreational areas, the development features an observation point, performance stage, shops, restaurants and healthcare services. The entire neighborhood encourages interaction. Public paths can be used as meeting places and points of social interaction. An array of amenities such as media rooms, lounges, libraries, pools, common gardens and mediation spaces support the concept of the design that aims to establish a low-stress environment.